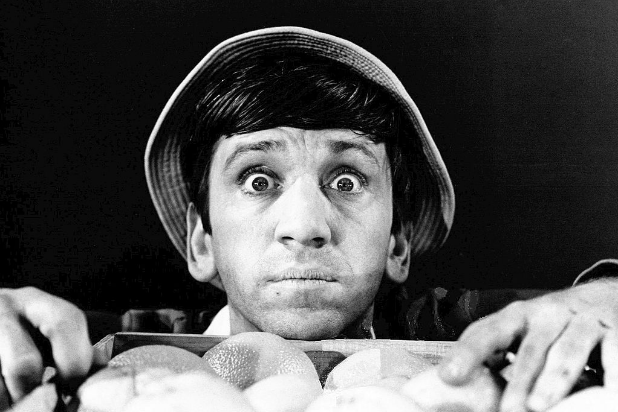 "Gilligan's Island" It wasn't an outright cliffhanger, but when the show wrapped up its third season not knowing if it would be renewed, it left the crew on the island. And that's where they'll stay. Forever. 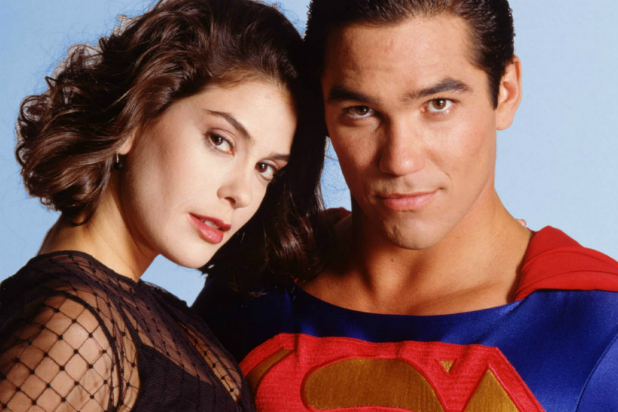 "Lois & Clark: The New Adventures of Superman" The DC Comics show ran for four seasons, ending on an open-ended future for the titular couple. Everybody knows that Clark Kent was found in a bassinet after his planet exploded, but in the Season 4 finale, he and his wife Lois find a baby in a similar predicament, with a note saying that it belonged to them. "Mork & Mindy" By Season 4, "Mork & Mindy" had run its course. However, creators were planning on a fifth season, hence the cliffhanger ending. In the series finale, Mork and Mindy fall backwards in time trying to escape evil alien Kalik. The final shot is a cave painting depicting the couple, but we never find out if they made it back to the present or not. "My So-Called Life" The love triangle between Jordan, Brad and Angela drove audiences crazy during this cult teen drama. It was never picked up past one season, so we never found out who Angela would've gone with. A love letter she received in the finale -- which she found out was written by Brad, not Jordan as it was signed -- didn't seem to have the intended effect. "Pushing Daisies" Bryan Fuller and Michael Green might pop up a bit on this list, as a lot of their shows have been canceled before their time. Case in point is "Pushing Daisies," which due to the 2007 writer's strike, featured a shortened first season. The second season was canceled abruptly and audiences never found out what happened to Ned and Chuck, along with what could've happened with Chuck's zombie father. "Finding Carter" The MTV show about a girl who finds out her mother is her kidnapper took a different turn in Season 2 and focused more on her relationships between her friends. In the season finale, Carter's friend Max comes clean to the police about killing Carter's boyfriend. While Max is taken into custody, we never find out his fate. "Southland" It was unclear whether the crime drama would get picked up for a sixth season, which is why the show literally went out with a bang. Fan-favorite John Cooper (Michael Cudlitz) has a breakdown and ultimately gets shot multiple times by police officers, who don't realize he's one of them. "My Name is Earl" The comedy about a man seeking to use karma to improve his life was canceled after four seasons. So while the last episode featured a "To Be Continued" card, we never found out the true identity of Earl Jr.'s father. "Hannibal" The Fuller and Green team is back, this time with a three-season adaptation of Thomas Harris' "Hannibal" books. The series built up this brutal but beautiful relationship between the titular serial killer and Will Graham and in the series finale, they fall off a cliff together. The audience is left to wonder if anything comes next. "Carnivale" The HBO show about the parallel lives of a traveling carnival and a traveling preacher was canceled after two seasons due to its large budget, and that left a lot of unfinished storylines. In the finale, we ended with fortune teller Sophie finding out that she is the biological daughter of Brother Justin, who represents darkness, and killing a field of corn. "The Dead Zone" Based on Stephen King's book, this show told the story of a man named Johnny with precognition. However, the sixth season ends with a vision of nuclear annihilation and we never see how Johnny seeks to resolve it. "Joan of Arcadia" Throughout the two-season show, Joan Girardi performs sometimes menial tasks for God. In the finale, however, she's told that a much greater threat and evil is coming over the horizon. However, the show was canceled by CBS so we'll never know what that fight would look like. "Terminator: The Sarah Connor Chronicles" This series followed the lives of Sarah and John Connor in between the second and third "Terminator" movies. It wasn't picked up for a third season, which left its audience wondering what would become of the bleak future set up in the final moments, where nobody had even heard of John Connor. For those who understand the general conceit of the "Terminator" franchise, you can see how this would be a problem. "V" Both versions of the show -- the 1983 miniseries and the 2009 one -- ended on cliffhangers, although it's the latter's Season 2 cancellation that'll be remembered. After Anna releases the Bliss on the Earth's human population, people emerge from a bunker to find that motherships are appearing around the globe, ready to enslave everybody. Honorable Mentions Luckily for some shows, there were other mediums to continue their stories. So despite the emptiness left over when shows like "Angel," "Firefly," "ALF," "Dark Angel," "Jericho," "Farscape," and more, we still have an idea about how the stories will end.